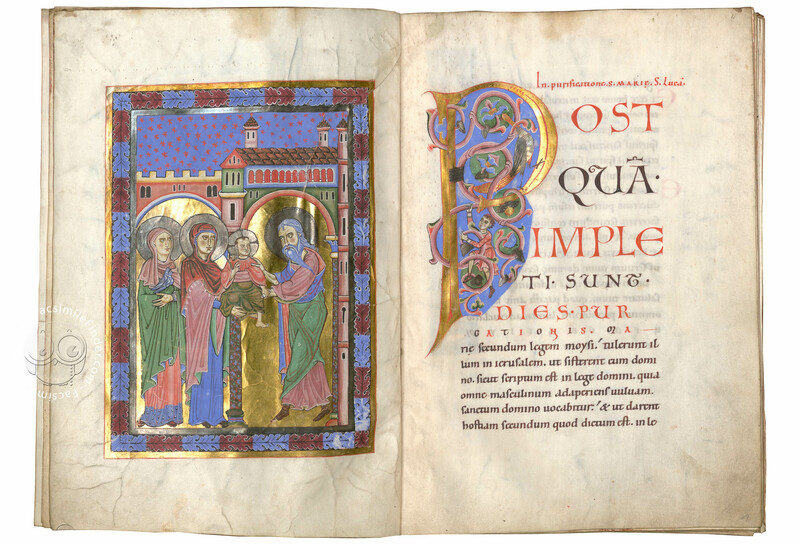 The Passau Evangelary is one of the most exquisite examples of Romanesque illumination from southeast Bavaria, in the southern area of Germany. 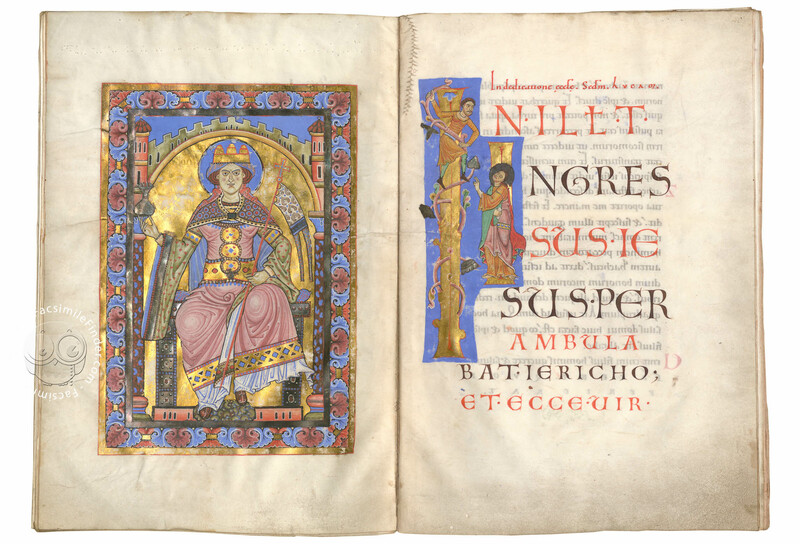 The codex, also known as Passauer Evangelistar, was written and illuminated in the 12th century in the Bavarian diocesan town of Passau and features 8 beautifully illuminated full-page miniatures and 49 historiated gold initials of exceptional quality. 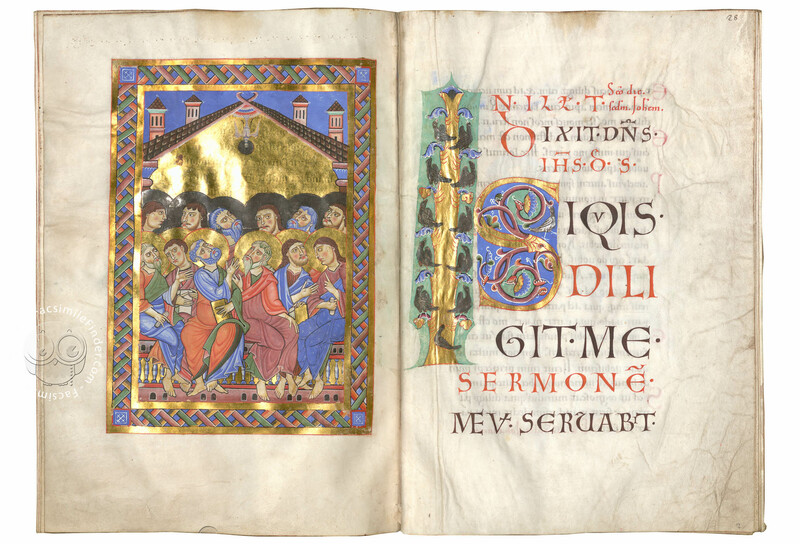 With its shimmering golden and silver illumination, the manuscript is a rare example of Passau superb production. Written in Latin, this Gospel lectionary contains the readings of the liturgical gospel to be read on occasions such as the main feast days. The Passau Evangelary takes its name after the place where it was illuminated, the Augustinian Monastery of St. Nikola Evangelistar, in Passau. 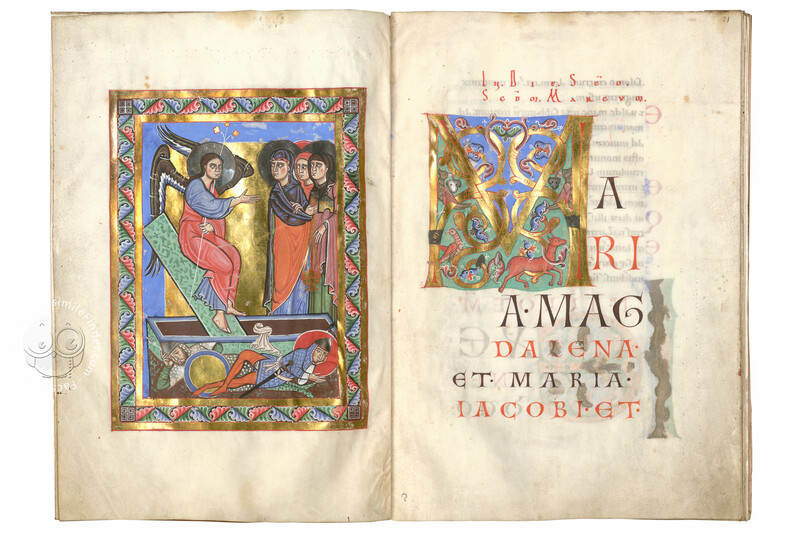 Over the course of the 12th century the Monastery Scriptorium produced several exquisite manuscripts praised by secular and ecclesiastical figures. 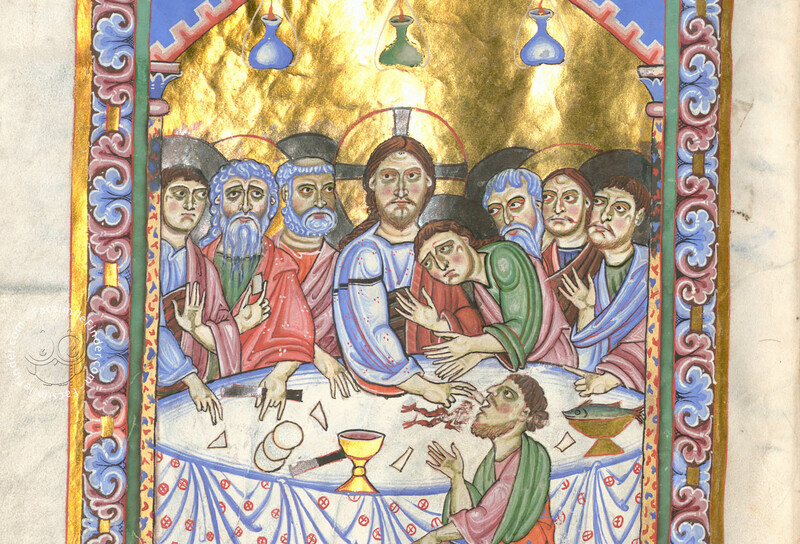 The manuscript iconography echoes Byzantine painting. The Passau Evangelary offers several examples of fine gold initials, featuring near-naturalistic depictions of animals and figures climbing the tendrils of the initials. 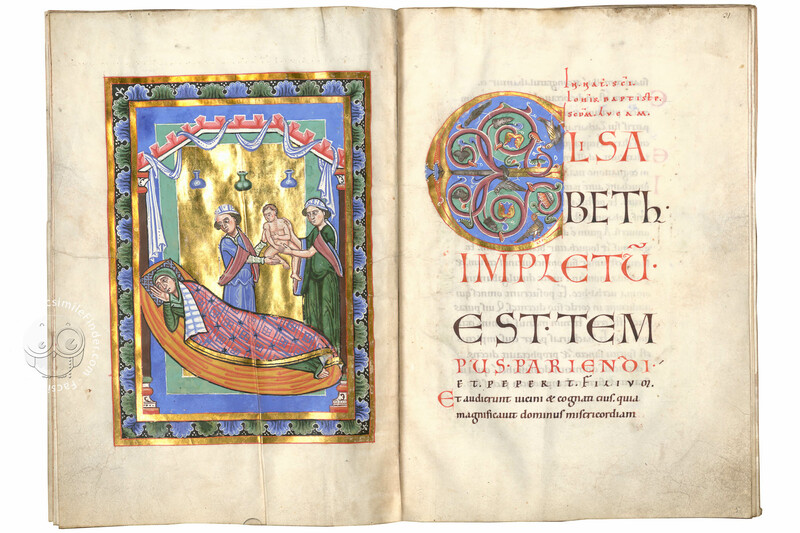 Five full-page illuminated miniatures were created to accompany the readings for each feast day: instances are the feast of John the Baptist, the birth of the Virgin, and the feast of Peter and Paul. Two additional miniatures represent the magnificent personification of Ecclesia (Church) on fol. 39v. and the crucifixion of Saint Peter on fol. 32v. The artists who worked on the illuminations, respectively Master of Ecclesia and Master of Saint Peter, take their names after these two artistically significant miniatures. 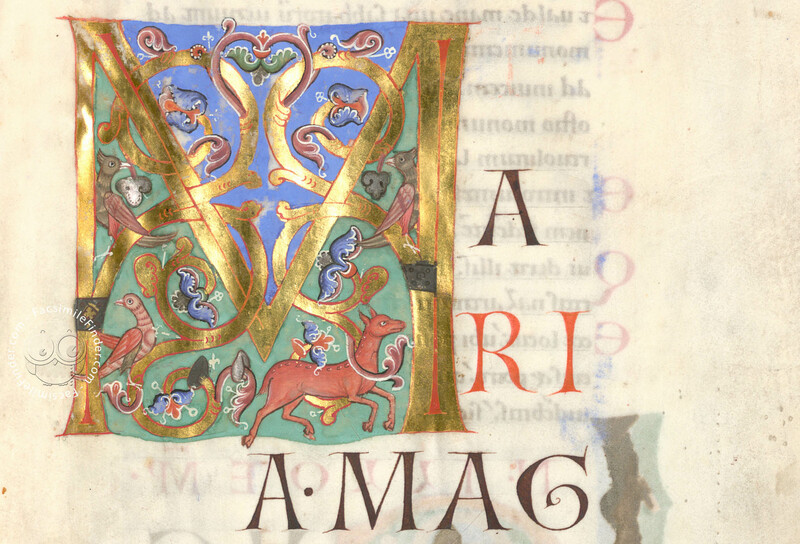 The 49 historiated gold initials show great skill on the artists part as they often look like actual miniatures (ex. fol. 11r). 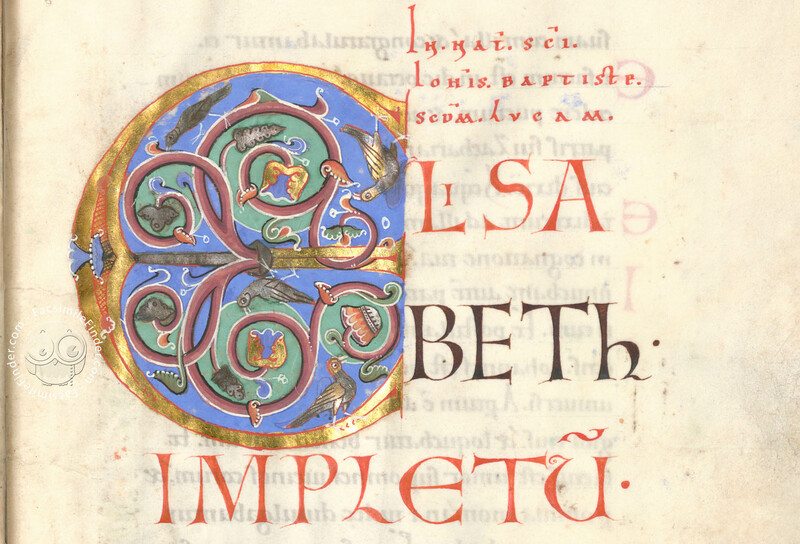 The Passau Evangelary provides many instances of double initial, visible for example on fol. 6v/7r (in illo tempore) where the artist, in addition to the embellishing of the recurring letter I proceeded to the elaboration of the first letter of the pericope, indulging in the use of gold. The colors are vibrant and vivid, and to be noticed is the contrast between the shimmering gold and the opaque blue. Byzantine painting, with its considerable use of gold facial features and stern expressions, is clearly recalled throughout the pictures cycle of the Passau Evangelary; additionally, Romanesque style can be found in the plastic pose of bodies and drapery of garments. Still unknown is the commissioner and patron: what is known is that after the secularization of the monastery, the Passau Evangelary passed to the Munich Court Library which now goes under the name of Bayerische Staatsbibliothek. 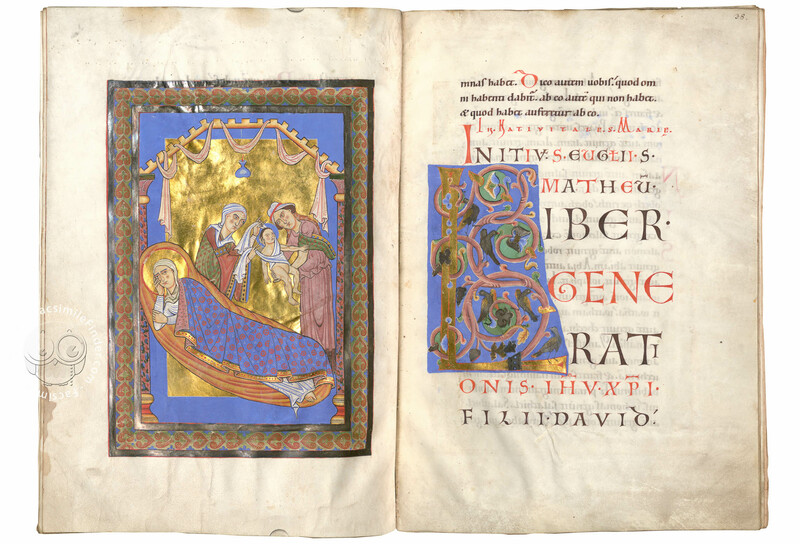 The script of the Passau Evangelary belongs to the 12th century, which marks a period of transition in the history of medieval scripts. 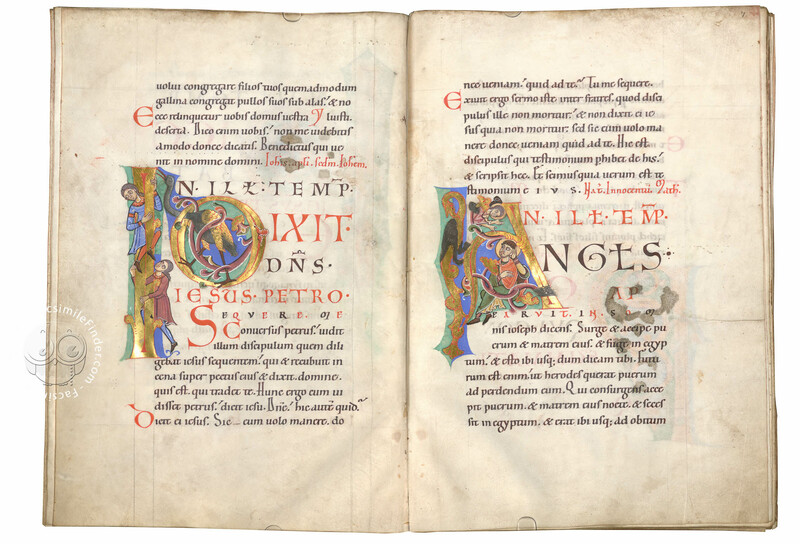 This period witnessed a shift between Caroline minuscule and Gothic, and this codex is a beautiful example of such transition often labeled Protogothic. There is a narrowing of the letter bodies, so that the almost circular lobe of o tends to become oval; furthermore, the shading, the contrast between bold and thin strokes is more distinct. 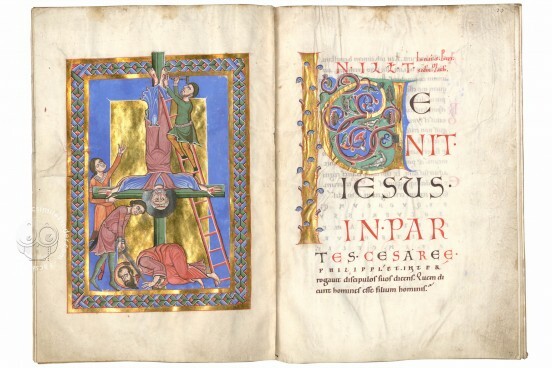 As many medieval manuscripts, unfortunately the Passau Evangelary lost its original binding. The current one – displaying the figure of Christ carved in rock crystal and metal – dates from a later period. Manuscript book on parchment − 32.5 × 22.5 cm − 88 pp. 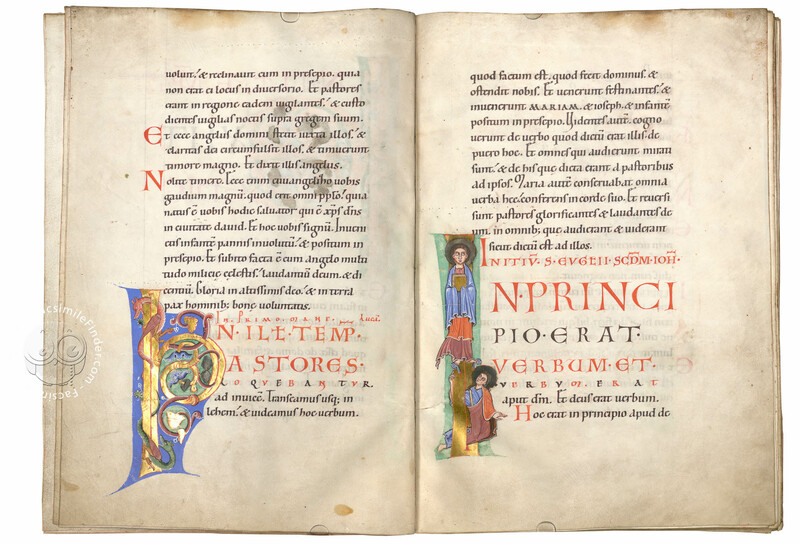 Full-size color reproduction of the entire original document, Passau Evangelary: the facsimile attempts to replicate the look-and-feel and physical features of the original document; pages are trimmed according to the original format; the binding might not be consistent with the current document binding. The matte fabric of half-silk from the 12th century, magnificently decorated with animal and plant motifs, is an outstanding example of the textile art of the Duchy of Bavaria at the time of the Passau Evangelary. It has been faithfully imitated by a specialized weaving mill for this fine art facsimile edition.